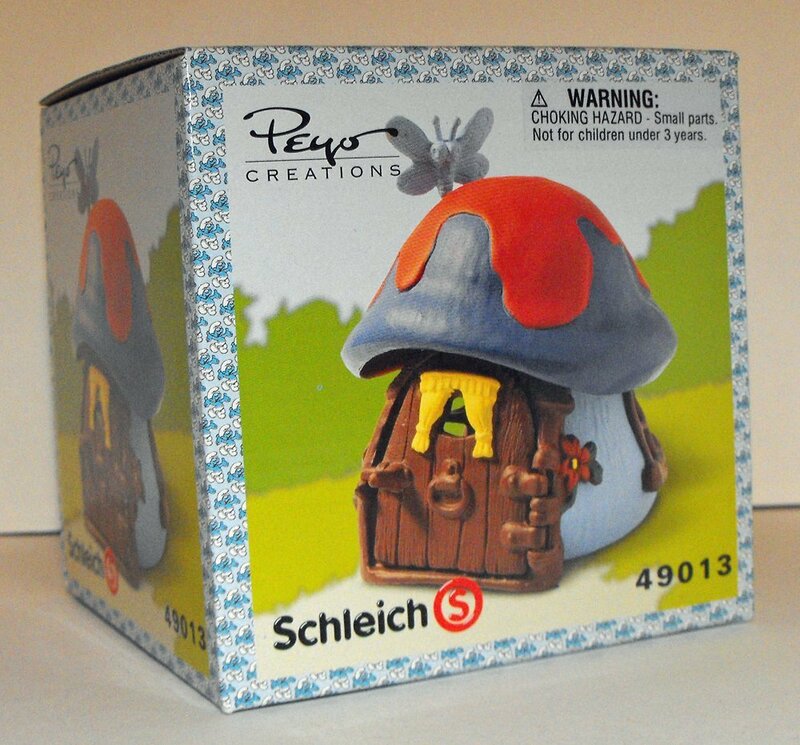 This Blue/Red Smurf house is brand new and comes in a sealed box. Approximately 4 inches tall. Fits 2-3 smurf figurines inside.